Since the 90s, Atelier Ten has been a regular visitor to Singapore working on some of the island’s landmark projects. Our first project was with Michael Wilford and Partners and DPA on the iconic Esplanade, Theatres by the Bay. We developed the unique high performance shading system which gives the building its recognisable ‘dorian fruit’ shape, helping it to become one of the landmarks of Marina Bay. 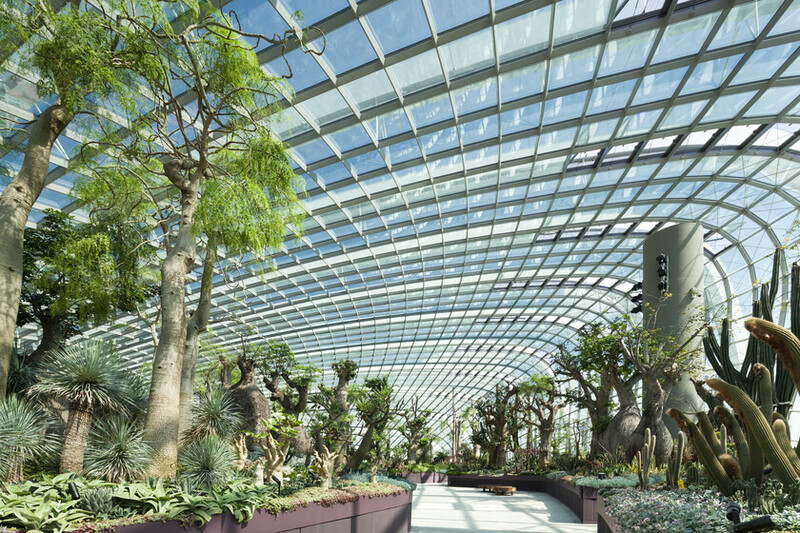 In 2006, our focus was on the multi-award winning Gardens by the Bay with Grants Associates, Wilkinson Eyre and Atelier One. Within our brief, we not only designed the zero carbon gardens and biomes, but also delivered a ‘zero carbon in operation’ project for our client, National Parks of Singapore. 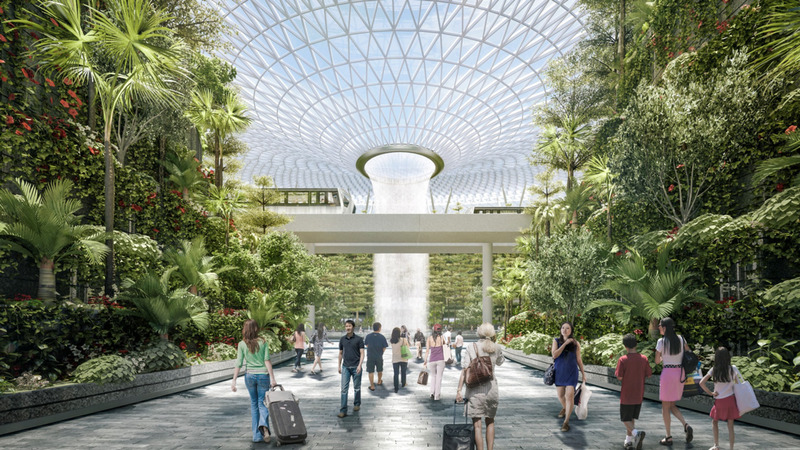 More recently, we have been working with Safdie Architects on Project Jewel, which will establish a large retail centre at the heart of Changi Airport. The building will have a total gross area of over 121,000m² of which 14% has been given over to internal gardens: a series of terraces carved into the building to provide enclosed green spaces for visitors. As a result, the project is dominated by a large glass roof and we were engaged to provide environmental design and analytical consultancy. 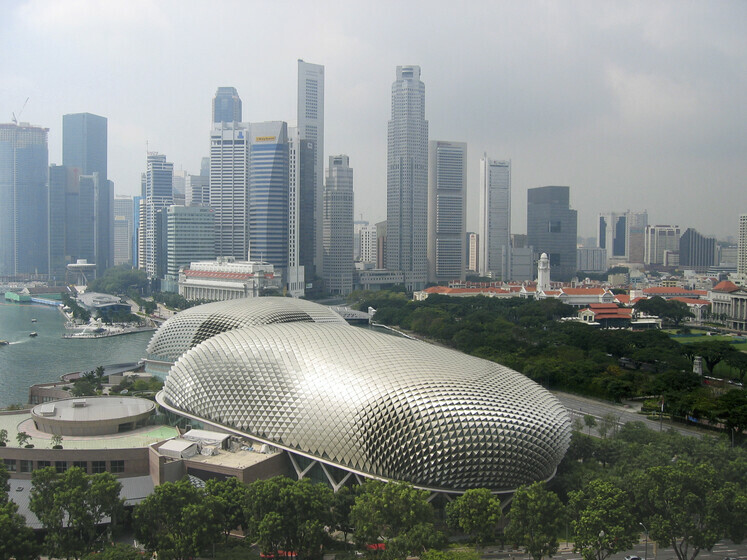 Drawing on our considerable Singapore experience and strong design capabilities, we employed thermal and daylight analysis and CFD modelling to optimise the environmental performance of the building to ensure energy efficiency and thermal comfort for visitors. In China, we recently worked on the Living Lattice, a flagship building for the new £6bn Meixi Lake Eco City. This has been developed as an exemplar masterplan in low carbon design and innovation. Our continued engagement with major developers such as CapitaLand and Franshion on their high-profile development projects, will only serve to strengthen our position as a sector leader in the region. In 2014, we decided to consolidate our position in Asia with the opening of an office in Singapore. The office, led by Henry Woon (from our London office) and Naree Phinyawatana (from our Bangkok office), allows us to capitalise on the success of Gardens by the Bay and create a foothold to serve the growing demand for our services in the wider region including Malaysia, Indonesia, South Korea and China. The office also forms part of a longer-term strategy to diversify Atelier Ten’s geographical operations thereby minimising exposure to regional economic downturns. We used the backdrop of the World Architecture Festival October 2014 to ‘soft launch’ the office. Our eye-catching stand at the three-day event at the Marina Bay Sand Expo, Singapore provided a great way to introduce our services to a wider local audience. And with support from Patrick Bellew, our Principal from London and Paul Stoller, Director from Sydney, the office had an auspicious start. In addition, a launch party was organised at the roof top bar of the Scarlet Hotel, followed by a behind-the-scene tour of Gardens by the Bay. Both events were very well received and we spent valuable time with people such as Moshe Safdie, Richard Roger, Ken Shuttleworth, Simon Allford and Paul Monaghan, Nabil Gholam, Emre Arolat (Head of Architecture of the Qatar Foundation), Serena Hijas, Andrew Whalley and Paul Katz. Atelier Ten’s exposure during WAF was terrific allowing us to reach out to potential clients worldwide. While 2015 will be a challenging year for Singapore economically, the Asia Pacific region’s economic outlook remains positive. Our strategic locations and diversified market are reasons to be cautiously optimistic about Singapore for the next twelve months. With this in mind, our newly opened office is in a good position to capture the opportunities that lie ahead.